Tired of lumpy, loose carpeting? 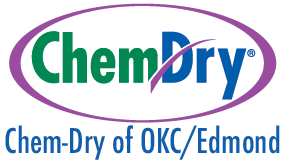 Chem-Dry of OKC/Edmond specializes in stretching old carpeting and helps get rid of all those wrinkles and ugly lumps. Why Does My Carpet Get Lumps and Wrinkles? There’s no great explanation for this question. The fact is that some carpets stretch and bunch up over time while others never do. More often than not, it means that the carpet was poorly installed. It also happens more often with older carpeting because proper carpet installment has improved dramatically over the years. Of course, you’ll want to get rid of the lumps and wrinkles for more than one reason. Not only does it look bad, but it can also be a safety hazard. If not taken care of, stretched and lumpy carpets will continue to get worse. If you have a spot in your carpet that seems unfixable, there is still hope. You don’t have to replace all the carpet just for one spot. Chem-Dry of OKC/Edmond may be able to patch and fix the damaged section. 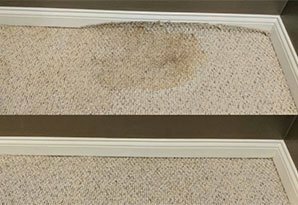 Certified technicians at Chem-Dry of OKC/Edmond are trained in stretching and reforming carpets to get rid of any lumps and weird pilings. 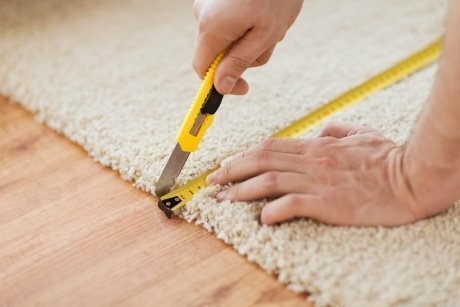 With specialized tools, we can pull the carpet tight and cut it to fit the room. The carpet’s leveling will be as good as new!